Pushing innovation to the edge. The world’s smallest 15.6-inch performance laptop with a stunning InfinityEdge display. Now featuring 8th Gen Intel® Core™ processors with up to 6 cores and 12 threads. Looking for something with more versatility? Check out our XPS 15 2-in-1, Dell's most powerful 15" 2-in-1 laptop. LIMITED TIME: Get Onsite Service After Remote Diagnosis* with this PC. Purchase a Dell PC and protect all your household devices with McAfee LiveSafe™ service, named PC Mag Editor's Choice. Easily protect and manage an unlimited number of computers, smartphones*, and tablets*. Whether you’re on your way to the next meeting or traveling to another continent, the Dell Premier Sleeve has got your XPS 15 or Precision 5510 Ultrabook covered. Custom built for the Dell XPS 15 and Precision 5510 Ultrabook, it features a wide opening for effortless loading and access. With durable, yet lightweight materials and a secure magnetic closure, you can rest assured that your XPS 15 or Precision 5510 Ultrabook is well protected when you’re on-the-go. Featuring the widest variety of port options available including HDMI, DP, VGA, Ethernet, USB-C and USB-A, this Dell USB-C Mobile Adapter - DA300 offers seamless video, network and data connectivity, in a neat, compact design. Connect to 4K displays at 60Hz for crisp, clear resolution without compromising on performance. The USB-C and USB-A downstream ports let you connect other supported peripherals and enjoy faster file transfers with SuperSpeed USB 10Gbps data transfer speeds. The innovatively designed adapter fits neatly in your bag and features a concealed cable for tidy storage. A longer coaxial cable allows for greater flexibility to work with various form factors from clamshells to 2-in-1s to detachables, providing enhanced and reliable signal quality. Simply plug it in and you’re ready to go – no driver installation necessary. Works best with Dell systems and supports Dell Business Class features. Enhance daily performance and productivity with the Dell Premier Wireless Keyboard and Mouse - KM717, which features an elegant design that will fit into virtually any workspace. Enjoy the freedom to choose your wireless connection of Dell Universal Pairing or Bluetooth LE. A full sized keyboard provides a comfortable, productive typing experience and features a 3-section layout with multi-OS support plus the most popular shortcut keys for Windows and Android. The ergonomic mouse and keyboard are designed for comfort and constructed of premium materials. The Wireless Keyboard and Mouse combo features a long battery life so you won’t need to worry about running out of power during your daily activities. Enhance daily performance and productivity with the Dell Premier Wireless Mouse - WM527, which features an elegant design that will fit into virtually any workspace. Enjoy the freedom to choose your wireless connection of Dell Universal Pairing or Bluetooth LE. The ergonomic mouse is designed for comfort and constructed of premium materials. The Wireless Mouse features a long battery life so you won’t need to worry about running out of power during your daily activities. Conveniently dock any laptop equipped with USB-C or USB3.0 ports with the Dell Universal Dock - D6000. You’ll be able to connect up to three 4K displays simultaneously. A single USB-C cable connection allows you to transfer audio, video, data and power - enabling a fast and convenient docking experience. It also eliminates the need for an additional power adapter, keeping your desk neat and tidy. Enjoy a home theater sound experience with the Dell Performance USB Headset - AE2. Featuring DTS Headphone:X 7.1 surround sound, the headset provides a 360-degree immersive sound experience perfect for gaming or watching movies. With 40mm Neodymium Drivers, the headset expands your soundscape with increased deep bass for added depth in your listening experience. With personalized lighting effects, you can choose from an array of 16.8 million colors through the outward-facing LED lights. The headset is lightweight and designed with padded, breathable leather so you can enjoy hours of entertainment in comfort. Meet the smallest 15.6-inch performance laptop on the planet. InfinityEdge display: The virtually borderless display maximizes screen space by accommodating a 15.6-inch display inside a laptop closer to the size of a 14-inch, thanks to a bezel measuring just 5.7mm. One-of-a-kind design: Measuring in at a slim 11-17mm and starting at just 4 pounds (1.8 kg) with a solid state drive, the XPS 15 is one of the world’s lightest 15-inch performance-class laptops. A stunning view, wherever you go. Dazzling detail: With the UltraSharp 4K Ultra HD display (3840 x 2160), you can see each detail of every pixel without needing to zoom in. And with 6 million more pixels than Full HD and 3 million more than the MacBook Pro, you can edit images with pinpoint accuracy without worrying about blurriness or jagged lines. Industry-leading color: With 100% Adobe RGB color, the XPS 15 covers a wider color gamut and produces shades of color outside conventional panels so you can see more of what you see in real life. And with over 16 million colors, images appear smoother and color gradients are amazingly lifelike with more depth and dimension. Included is Dell PremierColor software, which automatically remaps content not already in Adobe RGB format for onscreen colors that appear amazingly accurate and true to life. Beautiful from any angle: The anti-reflective screen combined with superior 400-nit brightness frees you to enjoy your entertainment outdoors. Plus, the IPS panel provides a wider viewing angle, so you can share your screen without missing a thing. Super-speed processors: The most powerful XPS laptop we’ve ever built includes the latest 6 core 8th Gen Intel® Core™ processors and an optional NVIDIA® GeForce™ GTX 1050Ti with Max-Q Design graphics card (4GB GDDR5 video memory), so you can blaze through your most intensive tasks. The new XPS has up to 10% more performance* and up to 66% more graphics performance* than the MacBook Pro 15. Ultimate Mobile Performance: The first Intel® Core™ i9 mobile processor with up to 6 cores and 12 threads, delivers more single and multi-threaded performance than 7th Gen—with the ability to overclock. Intel’s most-powerful mobile platform for creators enables faster 4K video editing with Adobe Premier Pro*. Maximum memory and storage: Supports up to 32GB* of memory with a bandwidth of 2666MHz, 1.2 times the speed of 2133MHz options. Faster memory means you get to the content that you need quicker. Expandable storage up to 1TB* in your choice of standard hard drive or optional solid state drive (SSDs), available in faster PCIe versions, provide plenty of storage room and high-performance responsiveness to access and run your applications quickly. The XPS 15 boots and resumes in seconds with a solid state drive, so you can do more without waiting. Killer™ Wireless: The Killer 1535 Wireless-AC adapter provides a strong and reliable Wi-Fi connection and was designed specifically to make your online videos, voice and games play faster and smoother. It automatically detects, classifies and prioritizes network traffic ensuring your most important data takes priority over your other less urgent applications. Killer delivers your critical packets immediately, thus eliminating unnecessary latency and lag. Work or play all day: You'll experience the longest battery life of any 15-inch* laptop —up to 20 hours, 18 minutes* on a Full HD model with 97Whr battery when using when using productivity applications like Word or Excel. Thunderbolt™ 3 multi-use port allows you to charge your laptop, connect to multiple devices (including support for up to two 4K displays) and enjoy data transfers up to 40Gbps, which is 8x faster than USB 3.0. Also includes two USB 3.0 ports. Featuring a single-cable connection for power, Ethernet, audio and video. Add the optional Dell Thunderbolt™ Dock for faster data transfers and support for up to three Full HD displays or two 4k displays. A standard backlit keyboard illuminates your keys so you can stay productive in low-light or no-light rooms while typing. Pinch, zoom and click with confidence: The precision touch pad prevents jumping and floating cursors, while Accidental Activation Prevention puts a stop to unintentional clicks when your palm hits the touch pad. Windows Hello: Enjoy a password-free sign-in with the fingerprint reader, which is integrated into the power button that gives you the fastest, most secure way to unlock your laptop. Using your finger, it recognizes you apart from all others. It waves you in with a friendly hello and even works on apps and Microsoft Edge websites. Artfully constructed from premium materials. Saving our seas: Recognized by CES with a "2018 Best of Innovation Award," our black packaging trays are a step beyond recycled. Twenty-five percent of the material consists of ocean plastics collected from coastal areas, while the remaining 75% is made up of other recycled plastics. Recycle-friendly: Over 90% of the laptop (by weight) can be easily recycled or reused. Enhance the mobility of your XPS 15 with accessories that can help you stay powered up, protected and connected on the go. Look for these great products and more at checkout. Power and charge your XPS 15 along with your USB-enabled phone while you are on the go with the Dell Power Companion. Protect your XPS 15 on the go with a sleek, custom-fitted sleeve to use alone or inside a case. Connect your XPS 15 to multiple devices – projectors, TVs, displays, and Ethernet – with one dongle. Truly portable, high performance Thunderbolt™ 3 storage device with lightning fast transfer speeds and high-capacity, high-quality SSD storage. 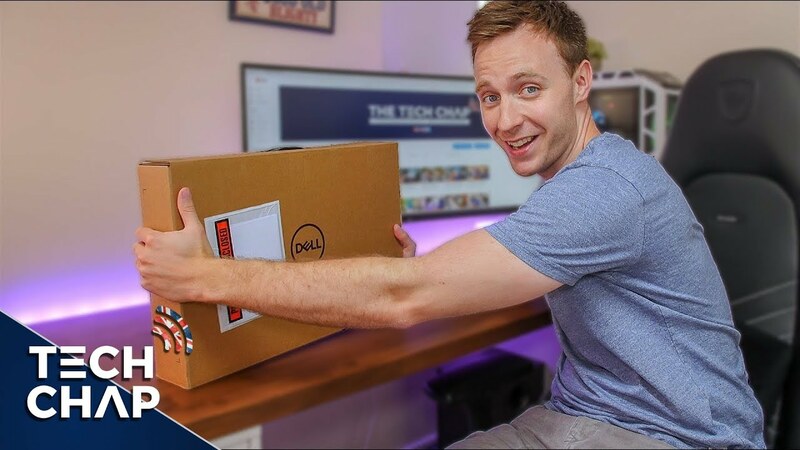 Maximize the performance of your XPS 15 with the ultimate work accessories that can help you increase your productivity in the office. Look for these great products and more at checkout. Connect your XPS 15 to a single data and power source to allow for the ultimate display performance -up to three Full HD displays or two 4K displays- and faster data transfers. 25" QHD monitor (2560x1440 resolution) with InfinityEdge display. Supports HDR content playback for a strikingly realistic viewing experience. Experience premium performance in a cutting-edge wireless keyboard and mouse featuring a compact design and wireless connectivity. Fill the entire room with powerful, crystal clear sound with this 360 omni-directional wireless speaker featuring premium design and enhanced wireless for streaming audio in sync with video. Windows Central video review 27 September 2018. Price varies by configuration and source. Dell XPS 15 vs. XPS 15 2-in-1: Which laptop is best for you?